Have you been searching for an Aussie woman to date? Is that the reason why you’re at this Aussie Cupid review? Well, you have come to the right place because we will be talking about Aussie Cupid. Finding someone to date at a certain place can be challenging back then. The reason behind this is because you can’t just go and fly to another country anytime you want. It will take a lot of time and money before you get there. Fortunately, there are now dating apps that will help you find that woman abroad even if you are just lounging at home. One of the sites that is becoming popular today is Aussie Cupid. Get to know this dating site by reading the information provided for you below. 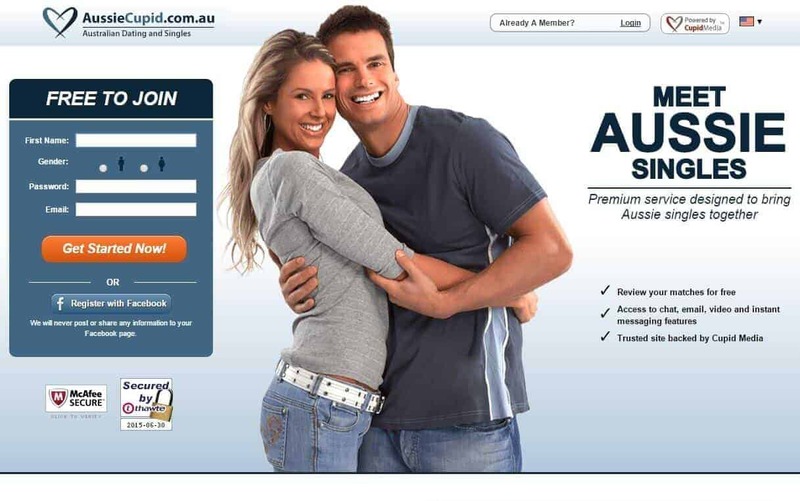 AussieCupid is a dating site where you can browse photos, chat and hook-up with Australian singles. The site is owned by Cupid Media, a well established dating network with international reach. Trial membership is free but will only allow restricted access. Once inside the member’s area there’s a range of messaging and communicating options to help you get to know other “Aussie singles”. You can sign up for a free Standard account & there isn’t a limit on how long you can remain at this level. The registration process is quite fiddly however that’s a thorough way to make sure you’re meeting genuine people. Be sure to complete your profile as accurately as possible. Profiles that lack any substance or credibility are quickly deactivated by the site’s security team. Once logged in, there’s a decent selection of options that will help in the job of both finding and getting to know other people there. Detailed searches are possible with a Standard (free) account, as are sending out interest notifications and even email messages. The only catch is that the recipient won’t be able to open emails unless he/she is a full subscriber with a Gold/Platinum package. As with other Cupid Media sites, the layout is intuitive and highly effective. Profiles are generally of a decent quality thanks to the ongoing moderation efforts. On the down-side, AussieCupid’s membership is quite low and stands at only around 9,000 active participants. If you are prepared to travel the Australian outback to meet your matches, it could be worth a look. According to the information released by Aussie Cupid, there are thousands of active members who hope to find their Australian half. Aussie Cupid is free to sign up and it offers a free membership with some basic features, but also upgraded memberships with more advanced options. I went to college with a friend that was from Australia and he recommended me to here. I guess this is where he finds his girlfriends at. So I signed up and wow, the women here are all pretty. I started talking to a couple of Aussie girls and 2 of them are very friendly and wanted to meet up. So, I am planning to head over to Australia with my buddy and meet up with them in a month. Wish me luck. I love this wonderful site! Great people, beautiful women and what else do you need? I have spent 1 year here at Aussie Cupid and have met with plenty of girls from Sydney and Sutherland. Anyone who loves dating Aussie girls need to come here! You won’t regret it; it gives you what you want. With all these being said, I can say that joining Aussie Cupid is definitely a good thing if you are into Australian women. You can opt to join for free, but remember that there are certain features that are not available. If you think that the features will help you find that Aussie match, then getting the gold or the premium membership would be best.